As Rock ‘n’ Roll Paradise returns to the UK theatres in 2019, we are celebrating with our “Lost Legends” 10th Anniversary Tour. The show continues to grow and to change, bringing to the stage an amazing number of tributes to the legends of rock and roll over the years at every venue. Each performance will be unique as we try to fit in as many icons as we can, bringing to life the music of the giants of rock and roll. Backed by the dynamic Paradise Band, among the many legends we pay tribute to along the way are, Buddy Holly, Gene Vincent, Jerry Lee Lewis, the Big Bopper, Eddie Cochran, Ricky Nelson, Connie Francis, Brenda Lee, Everly Brothers – and the King himself, Elvis. Which of your favourites will the jukebox choose to bring to the stage on the night? Paradise rings the changes to keep the surprises going. Two hours of rock and roll magic, brought to you by the very best tribute artistes, that’s Rock ‘n’ Roll Paradise. Where Rock ‘N’ Roll was born. The label that brought you Elvis Presley, Jerry Lee Lewis, Johnny Cash, Roy Orbison, Carl Perkins, Rufus Thomas and scores more rockin’ pioneers, comes to life live on stage. Revisit the recording studio where the distinctive Sun sound was crafted by musical visionary Sam Phillips. His trailblazing Memphis studio brought us That’s Alright Mama, Great Balls of Fire, I Walk the Line, Whole Lotta Shakin’, Bear Cat, Blue Suede Shoes, Good Rockin’ Tonight. . . hundreds of hits that would influence the world of music. Featuring the musical instruments of the era, starring a multi-talented cast of singers and a supporting cast of amazing musicians, the official concert show takes you back to the birthplace of rock’n’roll. THE INDIANS, Ireland’s Top Showband are back (again) with their non-stop program of music and song. Regarded as one of the most entertaining Irish bands on the road, they have been consistently entertaining the UK for over four decades! The Indians “BIG CHIEF” is lead singer Raymond Kelly (Geronimo), and he is regarded as one of the best in the business. With Eamonn Keane (Sitting Bull) on keyboards, accordion and vocals, Kevin McKeown (Long Arrow) on drums and vocals, Brian Woodfull (Crazy Horse) on bass guitar and vocals, it will be a fantastic show! The 18 piece Astor Big Band and Singers present the story of Alton G Miller from the formation of his first band in 1936 through to his tragic death, 75 years ago this December, on a flight from Bedford to Paris on Dec 14th 1944. We use the format of his “Chesterfied” sponsored broadcasts – Something Old, Something New, Something Borrowed and Something Blue to bring you a host of Miller classics and a selection of more modern compositions from shows including Les Misérables, West Side Story and Chess as he would have played them. A Concert to appeal to all fans of Big Bands and Modern Musicals. 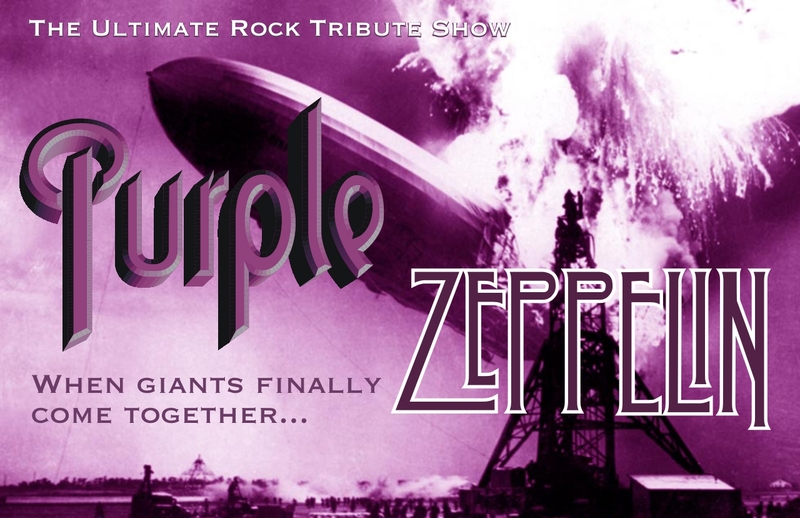 Purple Zeppelin are four talented and versatile musicians with decades of playing between them, comprising thousands of gigs and sessions in the UK and overseas, selling out venues up and down the country. 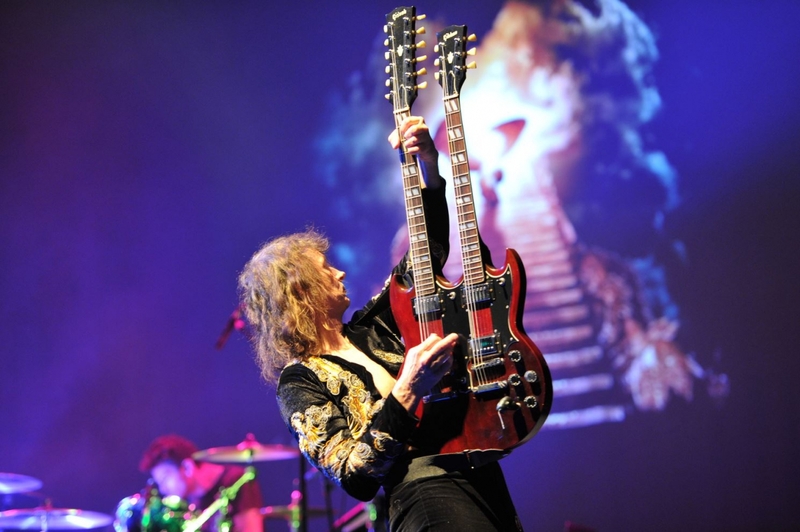 However, this is much more than just a great band performing all the ‘Greatest Hits’ – it’s a theatrical insight into these two giants of rock, complete with special effects, onstage ‘artistic differences’ and audience participation! The Very, Very final Joust….Honest Gov!!! After months of tense negotiations, numerous draft agreements and several strong cups of tea a deal has finally been reached. No, not Brexit! Getting the Knights back to the West Cliff for one last visit before they quit touring for good. Such was the outcry after their 2018 show, we managed to talk them into one last visit. So ladies and Gentlemen…Roll up for what will be the very, very Final Joust….Honest Gov! With plenty of classic routines, a few new ones too and a whole lot of rockin, this promises to be a fantastic night out. Don’t miss this one. You will walk out of the theatre with happy memories of the show titled SOUNDTRACK OF OUR LIVES. Small Fakers are the UK’s only tribute to 60’s mod legends The Small Faces and have been receiving great acclaim across the country. They even have the support of the Small Faces’ band drummer Kenney Jones. If you are a fan of the group or the 60s in general then this is the show for you. With hits like ‘All Or Nothing, Lazy Sunday, Itchycoo Park and Sha La La La Lee’ as well as fan favourites and selected tracks from the 1968 LP Ogdens’ Nut Gone Flake, this promises to be a great night out.